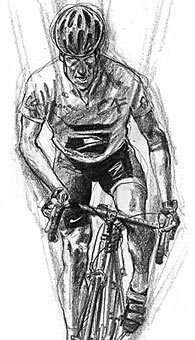 Mechanical doping or technological doping or tehno-doping this is related to devices for improve athletic performance. In cycling problem has become so serious that before each race bike scanned, judges search for hidden electric motor. I hope that in this case the developments of mechanical doping may well be used officially, if replace the battery by capasitor. This can give the with skillful management a significant increase of average speed. If to do an image search on the word “techno-doping”, the main results will be issues not related to the bicycle. 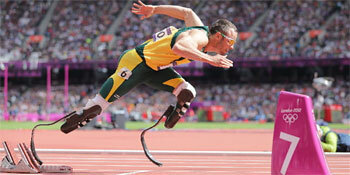 In the first place the legless runner Oscar Pistorius, the second – a suit for swimming. It may seem sounds sacrilegious, but it about technological innovations that exceed the parameters that a man have got. 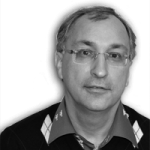 Official sport usually slows down the use of technological progress. Sometimes explains this by violation of safety, but usually just call it as doping, which immediately refers to the ban. Bicycle from this point of view by itself is already a doping compared with a running man shoes. However, further progress is also slow down. Gears in bicycle were prohibited a long time and aerodynamic suits too. It continues a ban on changing a bicycle scheme (frame-triangle and two-wheels), the restriction of the minimum weight of the bike. And of course, the prohibition of any kind of “doping” with an injection of external energy. Apparently, in order to distinguish such kind of doping, in English-language Internet it called as “mechanical doping”. 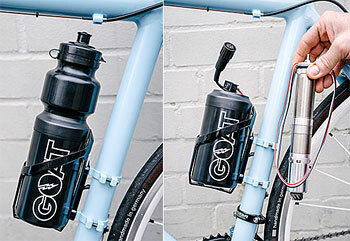 Image Search provides in the first place a small electric motor hidden in the seat tube and battery, hidden in water bottle or seat bag. There may be other schemes, but as far as I understand, the recent scandal revealed evidence of the use of mechanical doping at high-level events associated with particular this device. The set is available commercially for several years. It can be officially purchased (the price is about 2500 euros), the name of the device: Vivax assist, details here. 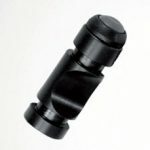 Suitable for any bicycle with an inner diameter of seat tube 31.6 mm . 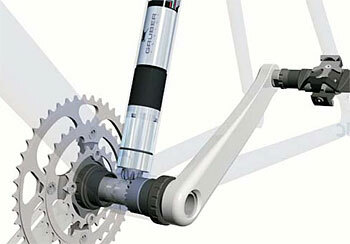 The only modification of bike – drill two holes in the seat tube to secure the motor. On the manufacturer’s website could be found information that the main buyers of this device are amateurs at the age 60+, who rode the group training in clubs and did not want to lag behind of the youth on the climbs. I will not talk here about how and what is decided on the climbs. I think that sufficient information could be found in the following note: “Why hills lower average speed“. I emphasize only that the manufacturer point that the maximum power of such small motor (200 watts) is enough to maintain the speed on the climb. This device is fundamentally different from electric bicycles, which can quickly ride for a long time without pedaling at all. To bring such a motor from the category of “mechanical doping”, you need to throw out the battery and replace it with a capacitor. And charge capacitor from release energy by reducing the speed on the descent. This is expressed in the conclusions of the note “Why hills lower average speed“. Let me remind that there is an example of cyclist who rides on the flat part of route at a speed of 28 km/h. With the passage of a small hill with the same power of pedalling, the average speed drops significantly. The only way to return to the average speed to 28 km/h is to limit speed on the way down to 28 km/h, and use the saved energy for increase the speed of uphill to the same the 28 km/h. Is true then it will be not as in the picture, it is necessary that cyclist first riding down hill, and then up the hill. This could be done only by an additional device because even if the cyclist is not pedaling downhill and to store energy within itself, it is still on the descent speed will be more than 28 km/h. There is another interesting consequence of this accumulation of energy on descent. So, going back to specifics, I give short description of four blocks of wonderful product Vivax assist with comments haw it could be used in the idea of a common name “recuperation of energy”. 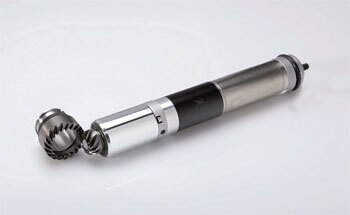 Drive, length 22 cm, 200 watts of power, is permanently connected via a gear with the rotation axis of the pedal. The gearbox has a free-wheel. In general, when the motor is switch off, no additional resistance to rotation the pedals. When the motor switch on system adds up to 200 watts power for pedaling, an optimum output power by default set to cadence 60 (revolutions of pedal per minute). With more than cadence 90 system automatically switched off. Trying to dig the Internet, which a motor is used has given nothing 🙂 There are a lot of motors with such parameters on the market. But learned that 200 watts is a hypothetical power, the real is defined of what current may give the battery for the required torque. 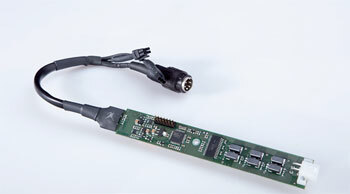 In contrast to engines that run on AC power, the power output of DC motors is determined by the battery, so for example power is not written on the screwdrivers. The controller, which is also placed in the seat tube. It programming functions of “working” cadence that is adding capacity to the maximum and cadence when support stops. In addition, the rotational speed is maintained regardless of the load. In practice, this leads to the addition of more assist, where the pedal effort by cyclist become smaller, and vice versa. The battery pack. Performance is impressive. Li-Ion, 30 V voltage, capacity 5.5 Ah, the dimensions of 120x70x70 mm, weight 850 g. It should be enough for 70 minutes of work. From these parameters it is possible to estimate average engine power. 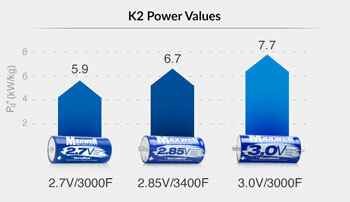 As already mentioned, the maximum power is determined by the capability of the battery . The average can be estimated from published work time if translate the ampere-hours and voltage to watts and minutes. It turns out 142 Watt. This value will be used hereinafter. Apparently this battery assembly of 8 cells of type 32650 (ie, 32 mm diameter and 65 mm length, the voltage is 3.7 V). Price (selling from the factory in China) is about $ 5 per cell. Finally, a button on the steering. Short press – on and off the motor, press for five seconds – memorizing preferred cadence, press 10 seconds memorizing the maximum cadence. I stress once again that the cost of entire system is about 2500 euros, from my point of view it is very “heavy”, more than a very good bicycle for non-professional rider. But glad that the sum of components of the solutions is about 10-20 times less, so we can start from this set for future fantasies. “As it” can be used motor with gear, controller and control button. Battery pack need to be replaced with the capacitors. And come up with a dynamo to charge the capacitors during the descent, controlled with an additional lever. Or most conveniently combine it to brake lever. The first half of movement for the electric braking (with saving of energy), the second to normal. But first it is necessary to understand the situation about capacitors. 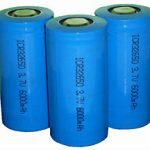 Today supercapacitors have a much less energy density (the volume of the stored energy in a unit of weight) than that of lithium-ion batteries, about 25 times less. 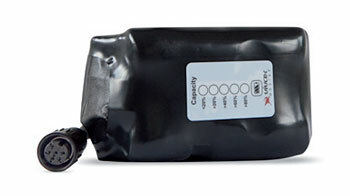 This means that direct replacement if Li-ion battery weighing 850 grams lead to the capacitor of 20 kg. In 2006 were announced graphene supercapacitors, it can give a prize of five times, but still pack weighing 4 kg is not appropriate. The situation is somewhat equalizes that in this case no need to compare all stored energy in the battery and capacitor. The battery can be charged only before the trip. That is, even if you do not consider it as “harmful doping”, for task of increase of average speed it fits until the end of charge. Charge the Li-ion battery with the energy released from braking on descents is useless, because it takes energy when charging quite a bit, so the main energy goes into “sand” and not to the battery. The capacitor is another matter, it charged, if not to go absurd as quickly as an energy source allows. But capacitor takes only amount of energy that could be released. In the scheme of equalization of average speed power source is braking on descent. That is, if you go down hill say during two minutes (this at a speed of 25 km/h in about 800 meters), then the system will assist only for climb to similar hill (the same 800 meters with the same attitude), then the stored energy will be over, even if the capacitance of the capacitor maintains a lot more. Therefore for the minimum feasibility of the system it can be assumed that the accumulated energy in the capacitor should be enough to drive the motor with a power consumption of 142 watts (see above) for say 5 minutes. Voltage of battery of capacitors take approximately the same as that required for the engine, ie, about 30 Volts. Of course still needed circuit to support the voltage, but it is not a problem. The main thing to have enough stored energy. Thus, the idea of the technological maintenance of the average speed of the bicycle in the hills have to be postponed until mass production of graphene supercapacitors. 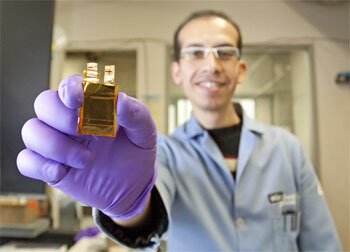 It is necessary that a 3-volt 1200 Farad cell weighed no more than 80 grams (remember that now 260 grams). Strange of course, that it is not present until now, still from the announcement of technology 10 years have passed. It is possible that I not enough digged the internet. In principle, the network in recent years, little discussed problem of recovery of braking in a car race called KERS (Kinetic Energy Recovery Systems) in which is also used supercapacitors. Interestingly, if you do a search for “KERS”, then there are options for a bicycle (some pretty funny on springs and flywheels) and even alpine skis. So, the problem is discussed. In general, the problem is good worked out in trams and railways. There’s no need to store braking energy, just enough to return it back to powernet. The trams, as read, not even equiped with mechanical braking system, only the parking brake and electric energy-saved brakes. Let us assume that a suitable capacitor is exist. Then the required one more block is a dynamo machine to charge the capacitor. 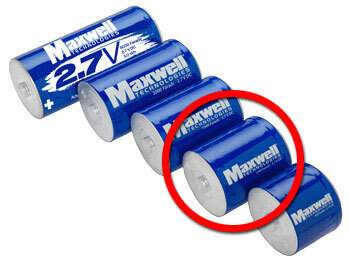 I stress once again that the capacitor is not a battery, it is recharged quickly and with any current. Therefore, such a dynamo machine can act as a brake (additional of course). Unfortunately I have not found similar system that suitable for the bike. But I do not think that there may be technological problems. 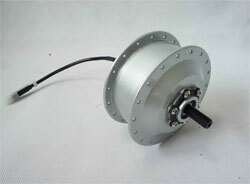 Of course more elegant technological solution is a motor generator, placed in the rear wheel, as in electric bicycles. Depending on the mode switching it drives from the capasitor or vice versa charges capacitor.